A Natural Born Citizen...Orly? 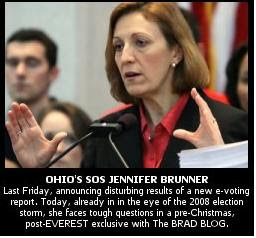 : Ohio SOS Jennifer Brunner's Attack on Carol Greenberg - PLEASE HELP!! 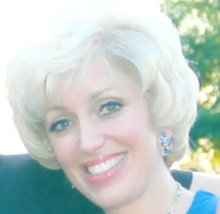 Ohio SOS Jennifer Brunner's Attack on Carol Greenberg - PLEASE HELP!! Fellow patriots and front line soldiers, I am emailing this request for urgent help to all my attorney friends. 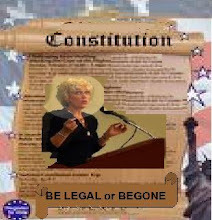 Carol Greenberg was one of the 1st citizens to knock on the door of justice regarding the Obama non-citizenship issue. She is a fearless patriot and now she needs our help. A judge tossed her case out on muteness and standing - issues we have all been dealing with, but that skumbag judge decided to blow off the constitution, treat this like a civil action, stabbing her in the back on the way out the door to discourage her and any other citizen from ever filing again." Read more.